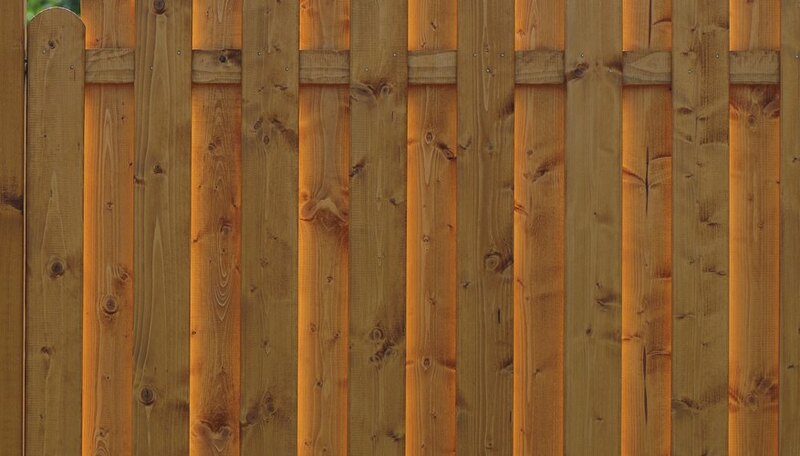 Instructions for building a wood privacy fence, including setting posts, installing railings and slats and installing the gate. Board-on-board is an efficient design that looks good from either side. A privacy fence does more than simply keep people out -- it defines your property line, protects your landscaping from stray animals and provides a backdrop for some of your landscaping features. You have a couple of tasks to accomplish before building one, including choosing a [style](http://wwwa1-fencecom/7-popular-types-of-wood-privacy-fences/), comparing prices and shopping for lumber. 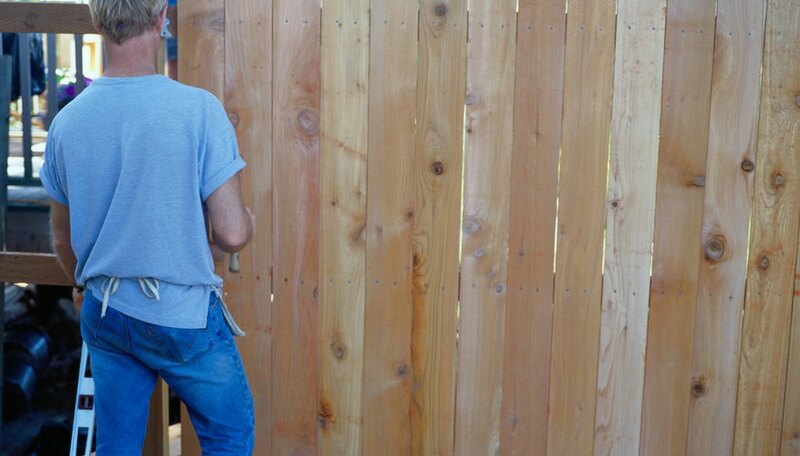 Building the fence is a good weekend project for you and your family or friends. Taking care of a few details before you start building can save much grief later. * Find out where your **property lines** are. Encroachment may not bother your current neighbor, but you can't be sure the next one will be as amenable * Consider your **style options and price** each one. Board-on-board is the most common style, but you may also consider one with butting vertical or horizontal slats or a board-and-batten design * **Check the local ordinances** that regulate fence height and style to make sure your plans don't violate any * **[Call 811](http://call811com/how-811-works/)** to get information about buried electricity and telephone cables and water pipes. The posts are the backbone of the fence, and they must be strong, especially to support a heavy privacy fence in high winds. * **Lay out the perimeter** of the fence with a string and space the posts slightly less than 8 feet apart to prevent sagging. The spacing may have to be less when you install the gate posts or come to a corner of the fence * Dig holes with a **post hole digger and shovel**. They should be deep enough to bury each post for one-third of its length. For example, if the final height of a post needs to be 8 feet, you need to bury a 12-foot post 4 feet in the ground * Use **pressure-treated** four-by-fours for the posts and set each one in concrete * Dig each hole an extra few inches deeper than you need so you can pour in gravel for drainage. You need a top and bottom rail between each pair of posts. Use rough-sawn redwood or cedar for best weather tolerance. If you use non-pressure-treated pine or fir, keep in mind you must paint it, or it will quickly deteriorate. * **Measure** the distance between each pair of posts with a tape measure and cut each rail to the proper length with a circular saw * Screw the rails to the posts with 3-inch exterior-grade wood screws. Use a **level** to make sure each rail is horizontal, and space adjacent rails on the same post the same distance from the ground. When installing the slats on a board-on-board design, aim for a 1- to 2-inch overlap. The smaller the overlap, the less wood you'll need, but **a large overlap provides more privacy**. * Use a level to **check for plumb on each slat** and to level the top with that of the adjacent slat before you attach it * Attach each slat with 1 5/8-inch exterior wood screws. Drive two screws into the top rail and two into the bottom . The gate should fit snugly between the gate posts with about 1/2 inch to spare. It helps to construct the frame on the ground, hang it on hinges and fine-tune it before affixing the slats. * **Start attaching slats on the outside edge of the gate**. If you have to trim the last one to make it fit, it will be on the hinge side, where it isn't as noticeable * **Attach the latch and handle last**, once you're sure everything fits and the gate swings freely. 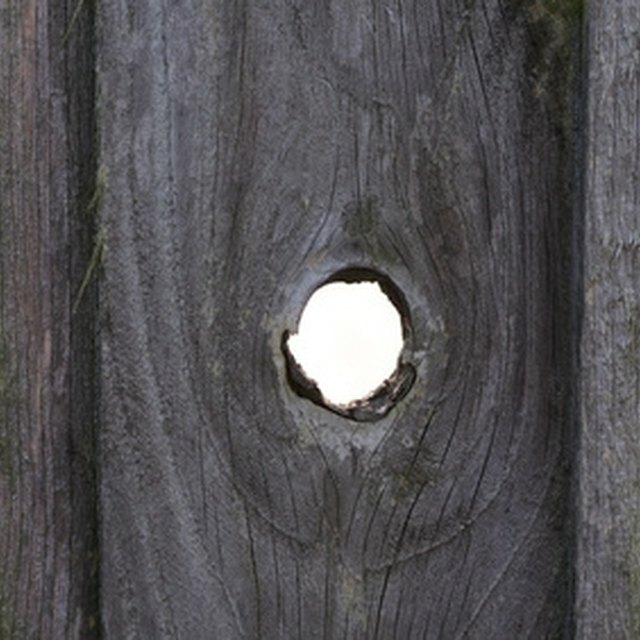 Does the Post for a Privacy Fence Go Inside or Outside the Property Line?